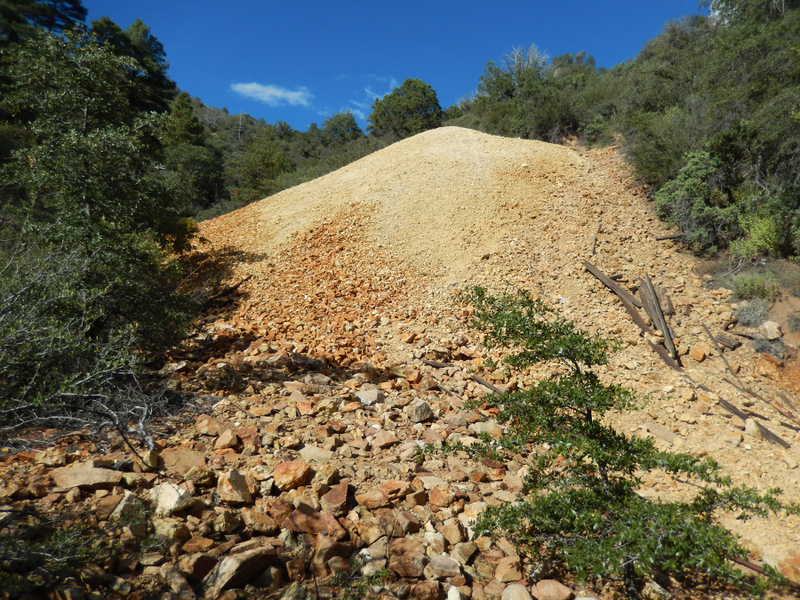 I visited this mine because it was reported to have been sunk into a part of the Crown King Granodiorite that contained unusually large apatite and sphene crystals. 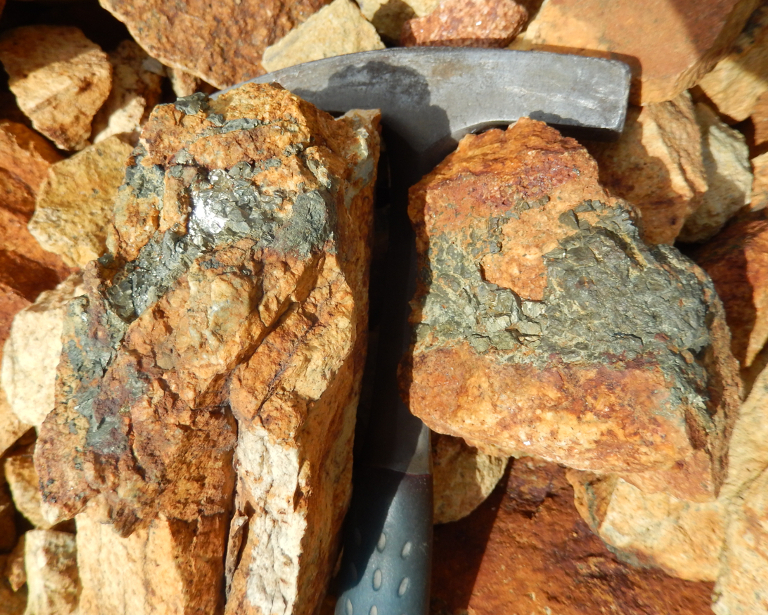 I unfortunately found no sign of apatite or sphene, but I did find a lot of pyrite. The pyrite is generally brassy or silvery in color and is found in subhedral cubic masses. 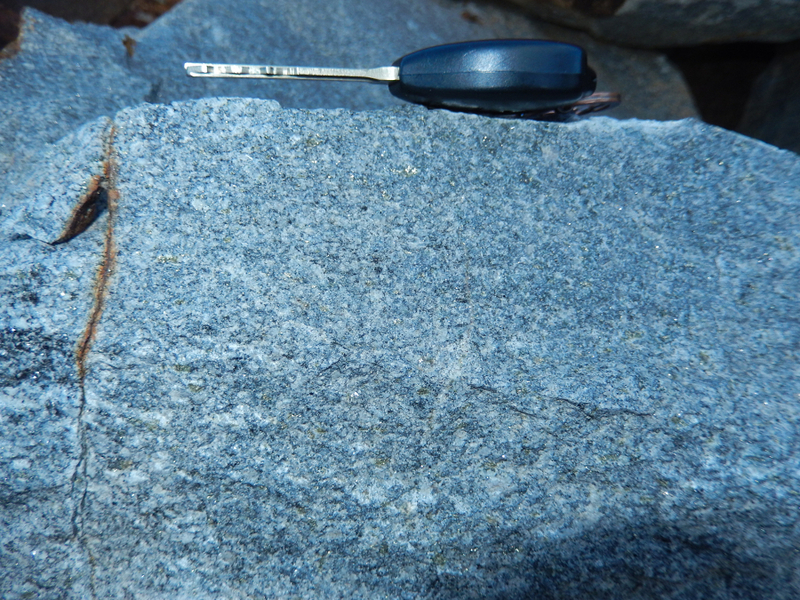 It is abundant in the tailings. Just scanning the rocks in the dumps will turn up many very nice specimens. 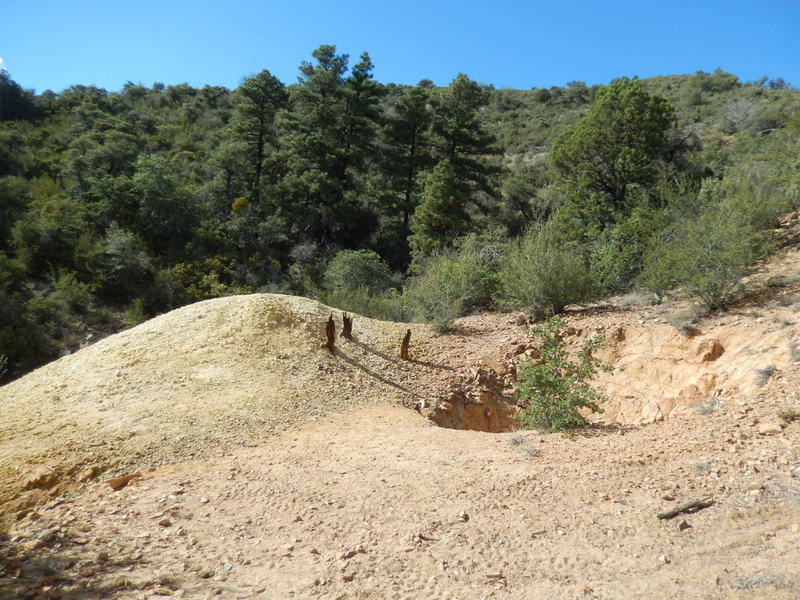 There is a large, deep, open shaft at the site, so be careful. When in the area, be sure to stop by The Mill Restaurant in Crown King. 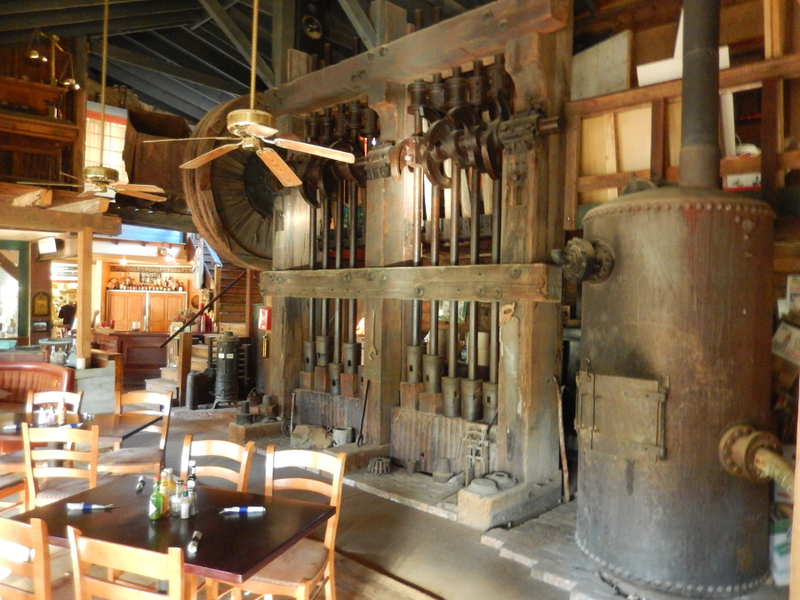 The food is actually decent, and they have an old stamp mill (used to crush ore for processing) set up inside the restaurant. 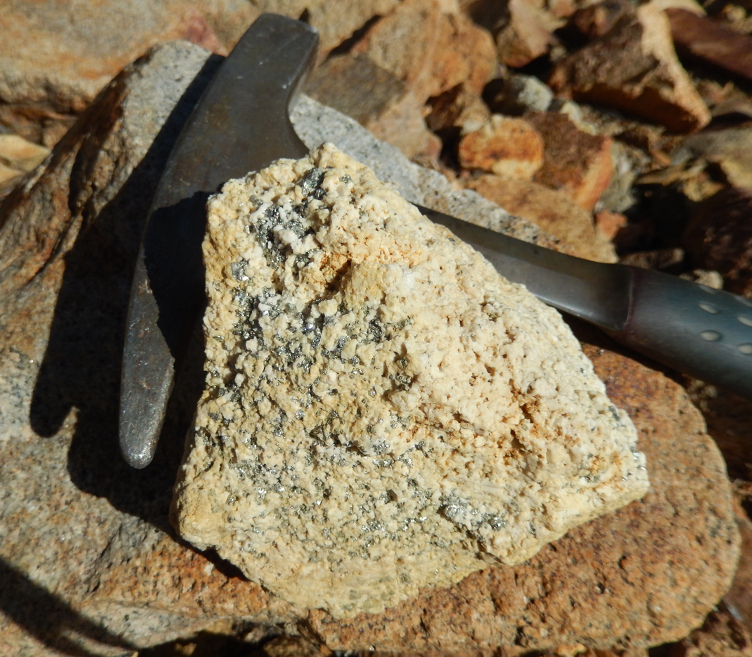 When I stopped there during this visit to Crown King, they also were doing some excavation in their parking lot that had unearthed a lot of pyrite-bearing granodiorite boulders.